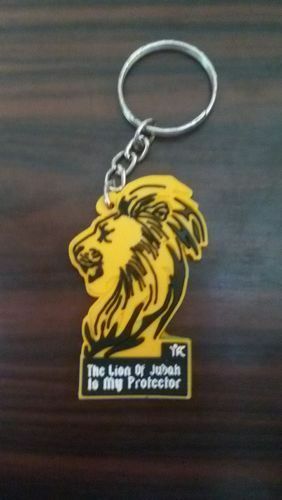 Prominent & Leading Manufacturer and Supplier from Coimbatore, we offer Key Ring such as Designer Key Ring and Fancy Key Ring. These keyrings are supplied custom made in soft PVC to your precise requirements. The material is flexible and can be shaped exactly as you need with Pantone colour matched colours. This product is supplied with a keyring and chain fitting, or we can offer exactly the same prices for either a butterfly clutch badge fitting or adhesive tape backing. Standard delivery is 3-4 weeks from receipt of payment and artwork approval, and is included within the price. If you need your badges sooner, contact our customer service advisors. Simply upload your artwork when you have confirmed your order, or email it to us. We have no order minimums but the more you order, the cheaper the unit price becomes. Just type in the quantity and the calculator will tell you the price for any amount from 100 upwards. To order your top quality custom made badges, please select from the choices below.